November snuck in with a bit of cold wind and a streak of orange beginning to run across the mountains outside my window. The nearby rice fields are all harvested and turning green again with the little after sprouts. 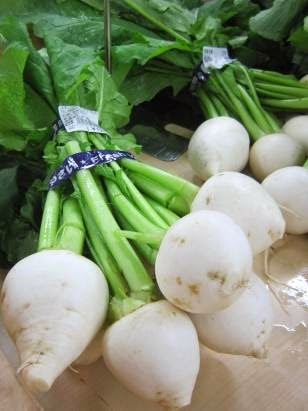 Some industrious growers have planted cabbage and haksai (Chinese cabbage) while other fields are given over to broccoli, daikon, and the usual round of winter vegetables. It is a joy to see those green leafy favorites popping up everywhere, which means they'll be at one of the below markets, too!